Did you know even the smallest amount of mold can produce indoor airborne particles that can have potentially harmful effects on your health? 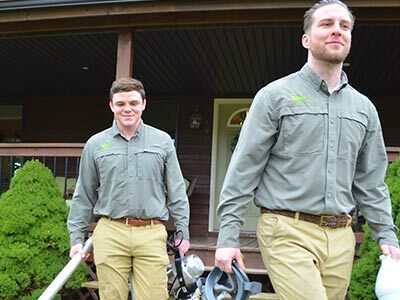 If you’re suffering from the suspected harmful effects of mold, or if there’s an odor that you can’t seem to identify, contact the professionals at Green Home Solutions of Portland for fast, affordable, and effective mold removal in Hillsboro. At GHS Portland, we only use EPA registered mold removal products that are safe for children, pets, and the environment, when used as directed. Our solutions are formulated to target odor and mold at the source, penetrating sheetrock to destroy the problem on a molecular level. That means our Hillsboro mold services don’t just cover up your issue, they eradicate it. 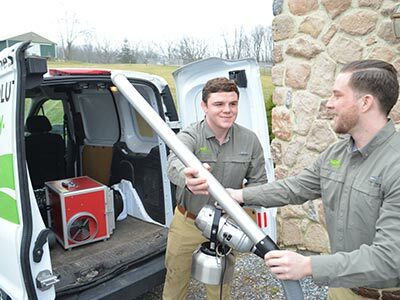 No matter the size or complexity of your mold and odor issue, the professionals at Green Home Solutions of Portland can remove the problem easily and efficiently. Whether you are in need of basement mold removal in your Hillsboro home, or you want air quality testing conducted in your business, we’ve got you covered. Our process begins when one of our mold-certified technicians comes to your property for a Hillsboro mold inspection. If a mold or odor issue is detected, we will create a custom solution to eliminate the problem from your home. Green Home Solutions of Portland is proud to offer American-made products. Our patented ultra-fine spray mist is applied easily and dries quickly without leaving any residue. Once your home is treated, you can get back into the area in just 15 minutes. We are so confident in our solution, we guarantee it! If you are unhappy with the remediation for any reason, we will come back and re-administer treatment until you are satisfied. Address your mold and odor issue today by contacting the experts at GHS Portland for an easy and environmentally-friendly solution. Give us a call or complete the online request form to schedule mold testing today.